Buffalo, Glen, Tattarsall, Tartan, Pin Check, Shepherd's Check, Gingham, Windowpane...These are just a few of the plaid variations going on in the world my friends! In full disclosure, I had not taken the time to research the different plaids and their origins. 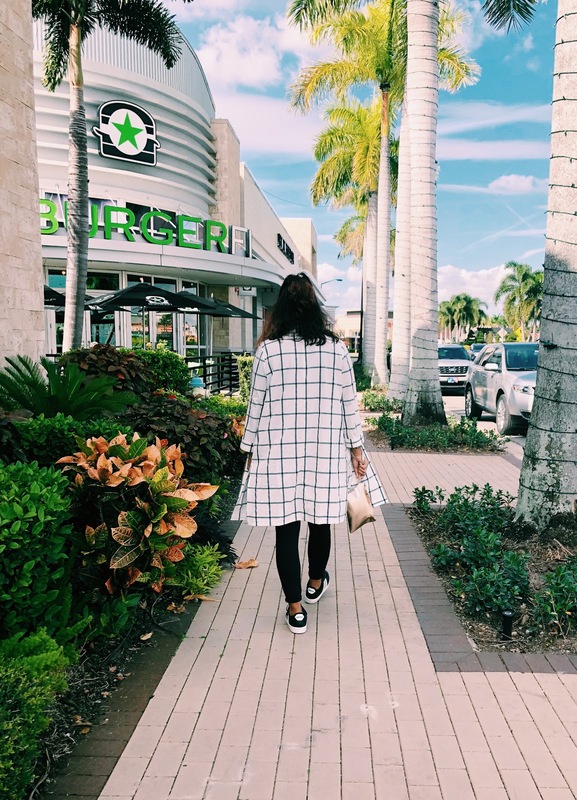 Plaid was always just plaid to me, save for the gingham and buffalo plaids that have taken the fashion world by storm! Admittedly, I find it fascinating to know that Glen plaid originated from Scotland, but I have to stop there. There's far too much laundry to continue. So for today, I'm camping on the new to me variation of plaid - the windowpane! 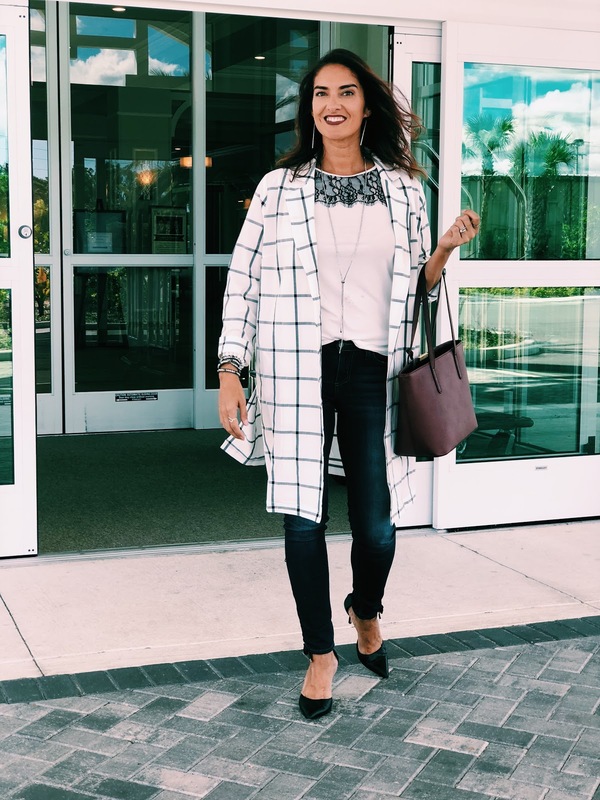 Join me for two similar in color, but vastly different in "feel" styles in this classic and effortlessly chic WINDOWPANE jacket. AND look for a discount code for YOU! *This jacket was provided to me by Five Girls Fashion. As always, all opinions are entirely my own! Picture me raiding my own closet...pulling out all the possibilities to pair with this jacket. I had to stop myself because I was making a mess! I reached for my blue denim (featured in this post), my black denim, dresses, body suits and even some leggings. Once again this proved that ONE classic, versatile pieces brings an explosion of options! 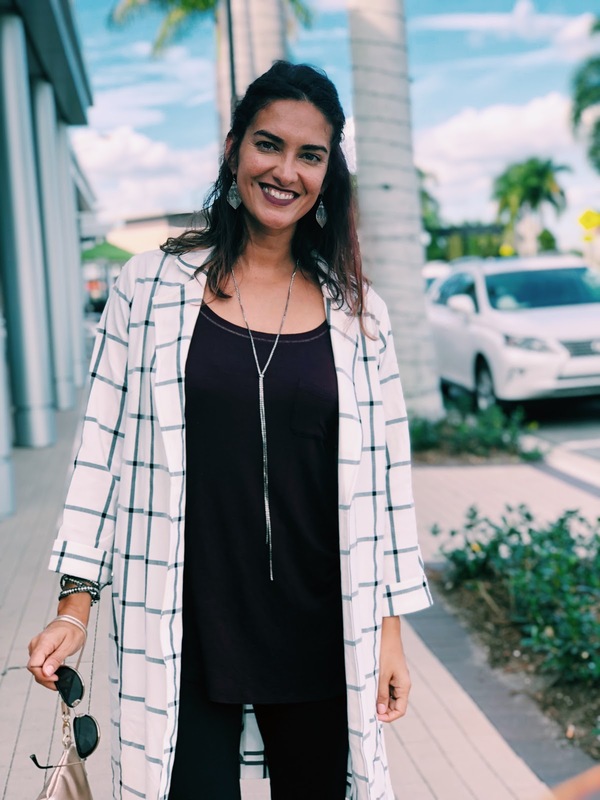 This loose fitting jacket is fairly lightweight, has slits on the sides and pockets! I love the length and the roomy feel, as well as the sleeves that roll. I'm wearing a small and it's perfectly comfortable in the shoulders. Next time I'm going to style this with a color popping dress - red for Christmas or purple for NYE? I don't know...where ever the wind takes me my friends. 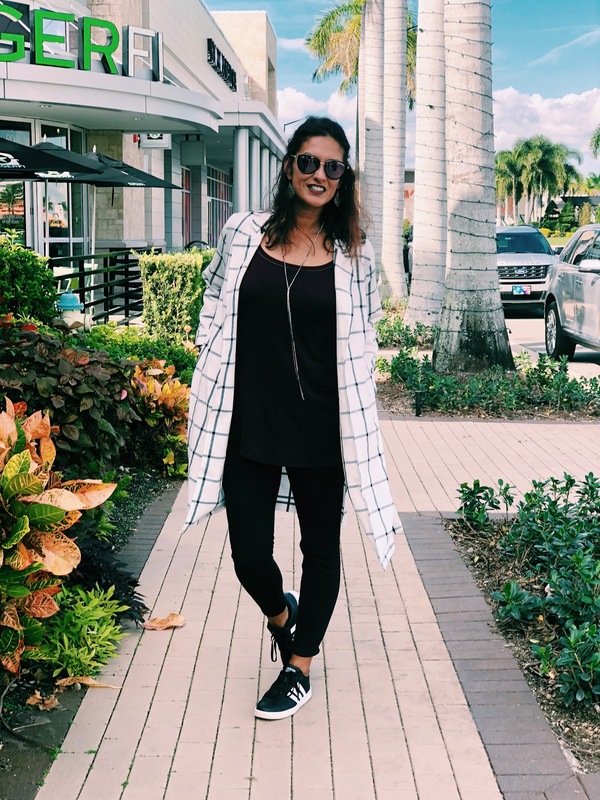 I live in Florida now so the next time I wear this jacket it may even be with shorts! Leggings are old from The Limited, Adidas were picked up at Famous Footwear and Shades are from Costco. Jewelry is by Premier Designs from my Jewelry gal days. I wore this look to our homeschool community group and was sublimely comfortable without sacrificing swagger - ha! Suffice it to say, your clothes can absolutely effect your mood!! Ok my friends, what's your favorite style of plaid right now and can you see a myriad of options for this jacket?? Well, you can get it ,or whatever else you like, for 20% off with the code GRANOLAANDGRACE20! 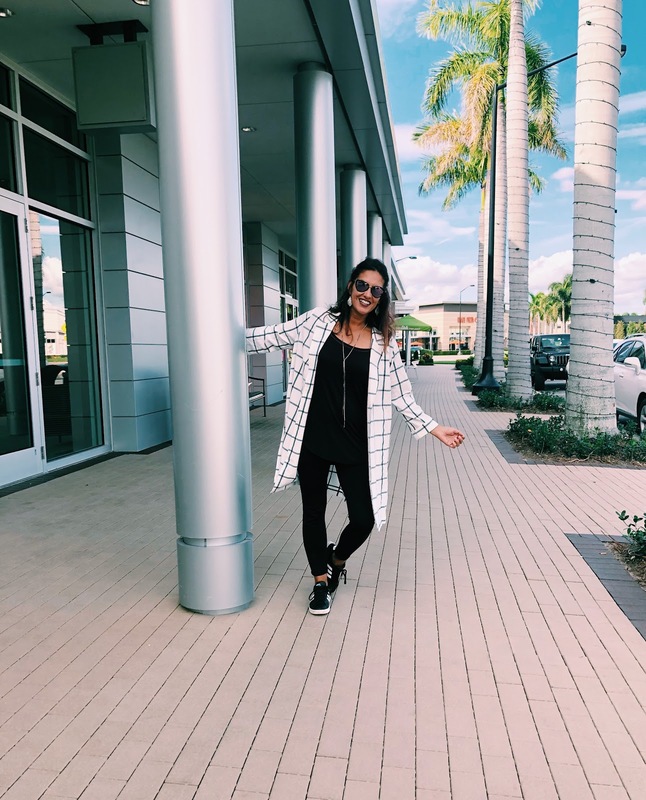 Hop on over and check out Five Girl's Fashion. Items are made well, move quickly, new pieces are featured twice a week, they ship fast, and Crystal is fabulous to work with! I swear, I think I had a jacket like that in the 80's!!!! I love things come back around! Ha! Probably. And I like to think we do it better the second time around. Hehe. Super cute on you! Love both ways you styled and can relate to pulling out "all the things" to try and get the perfect look. Thanks Shelly! And I know...the perfect look and ALL the looks but I can only wear it one way each time. lol Big hugs my friend! Love both of these looks! Windowpane is a great print! Oh girl, I love this so much! I want it. What size are you wearing - a small? This is totally my jam! I can totally see this on you! ;) And yes, I wasn't sure but I'm glad I went for the small! it's true our outfit can affect our swagger...and you got it going girl!! Thanks Jodie! Did you have fun at the FFR?? 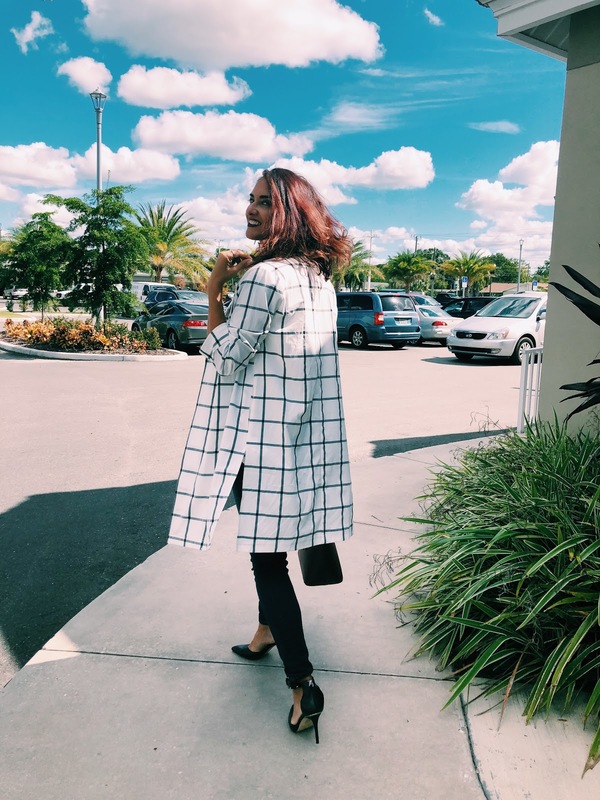 Your windowpane jacket is so cute! I love both of these looks! Thank you Jill! I hope you have a great weekend! Wow, those heels! Fabulous. And the coat is lovely! Thank you Nancy! :) Always glad to have you by! This is a gorgeous coat! I love the classic shape and how it works for a dressier outfit! Thanks Ruth! 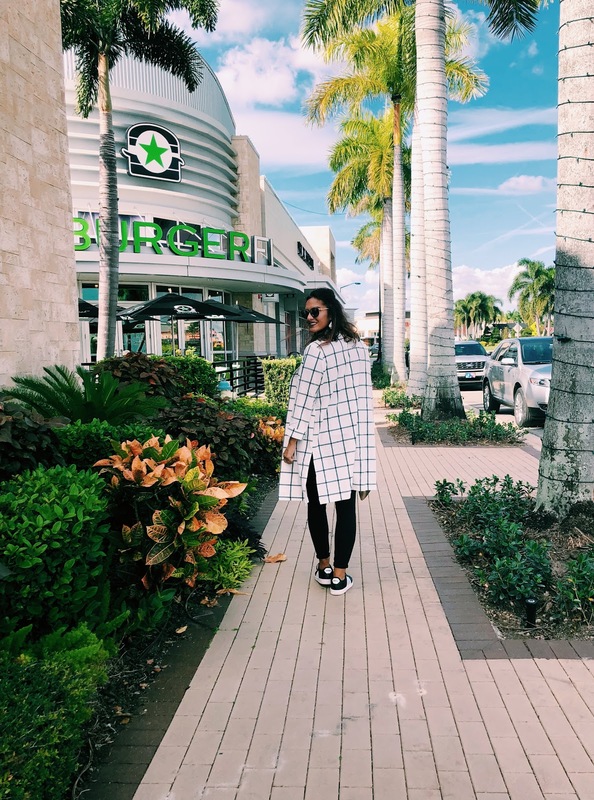 I'm enjoying this fashion piece and needed something different to add to my closet! I love that jacket! 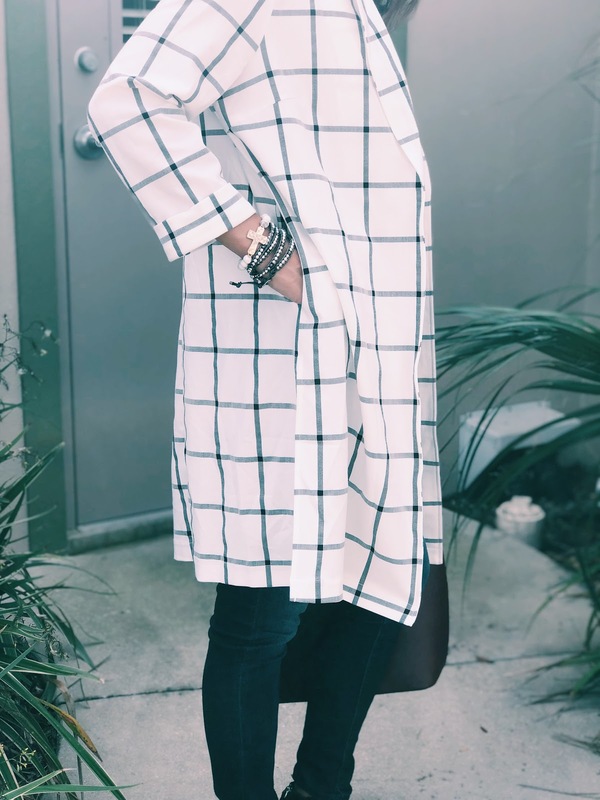 The windowpane plaid is so classic, and I love the longer, looser shape--what a fun piece. Both ways you styled it are gorgeous! This is such a chic classic dear! Love how you styled it, especially those gorgeous heels! Thank you Jess. I'm enjoying this piece quite a bit. Always nice to have you by the blog!! Chrissy, I love you style and damn girl, you rock that coat!! I want it!! I never met a plaid I didn't like. 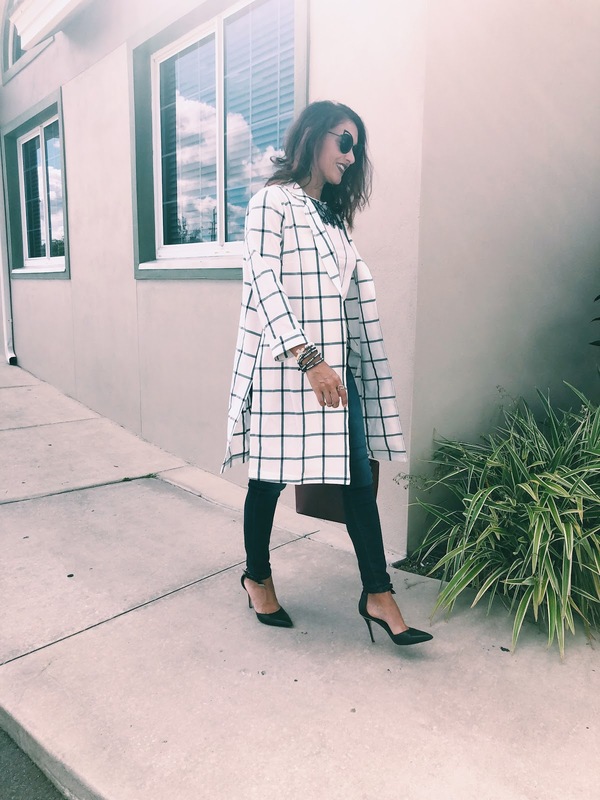 That windowpnane long jacket is fabulous and so versatile. I love the nighttime dressier look. The lace-front top and your bracelet stack is made for that jacket. I cannot wait to see it with a colorful dress, next!! Thank you Ada. I could totally see you rocking the dressy look! :) I need to hurry up and style this with a colorful dress. I just need more hours in the day!! Have a wonderful week my friend!